Direct Socket Tool Kit provides the prosthetist with the tools to consistently make a reliable and well-fitting socket using the Direct Socket system. 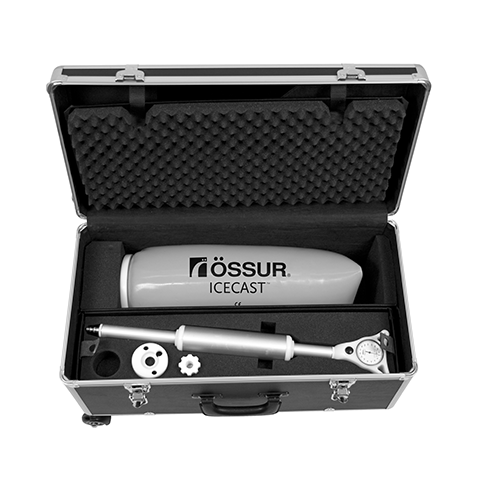 The toolkit includes the Icecast bladder and pump, a single chamber pressure-casting system designed to optimally distribute pressure to shape soft tissue during casting. The pressurecasting system loads the residual limb, eliminating the need for modification of the resultant socket shape. A reinforcing matrix makes the chamber durable, and controls elongation.